Collection of 'Innovative Energy Generating Furniture Designs' from all over the world. 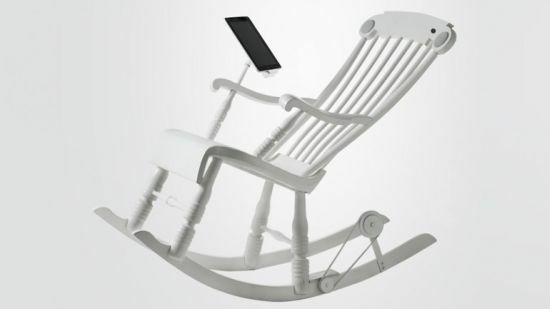 iPad Rocking Chair: iRock developed by Zurich-based Micasalab, is a modernized version of the age old rocking chair with the ability to recharge your iPad or iPhone just by simply rocking back and forth and also powers speakers-system equipped in the chair itself. 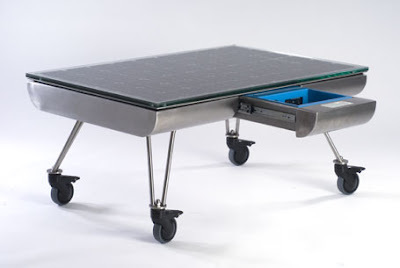 Biophotovoltaic Table: This table generates electricity through photosynthesis; this concept table runs on the principles of biophotovoltaics and is capable of powering smaller devices such as digital clocks. With improvements in technology it could power larger devices such as lamps and even laptops. 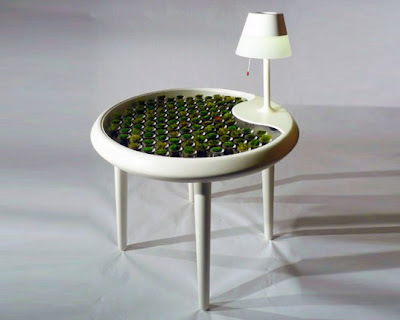 Solar Furniture by Afroditi Krassa: This table can be placed in garden or outdoor space; its surface is covered with highly efficient solar panels that collects solar energy. 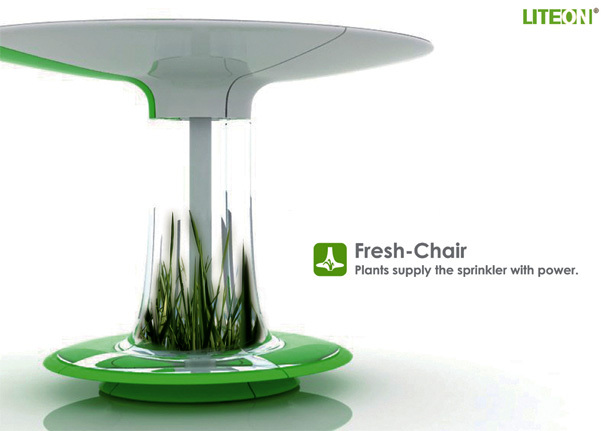 Lite-On Fresh-Chair: The umbrella shape of this bench collects water and air for the shrubs; these plants give out cool refreshing air which is used to generate energy. 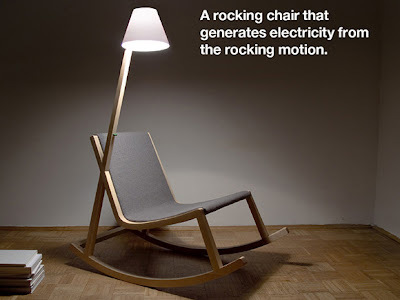 EMPower Rocking Chair: This concept chair designed by Ryan Klinger harnesses kinetic energy from its swing and makes it available via USB and standard outlets. 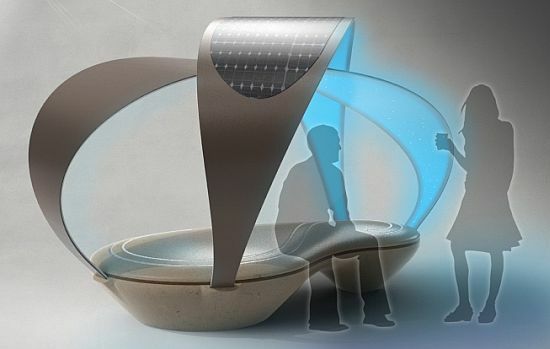 Solar-Powered Park Bench: This solar-powered park bench is designed to be made from used aluminum and plastic, this outdoor furniture comes with solar panels installed to generate energy to power an embedded wi-fi unit and lights for evening use. Ecotypicbed: Designed by Arthur Xin, the Ecotypicbed turns and stores all of your in-bed activities into energy. 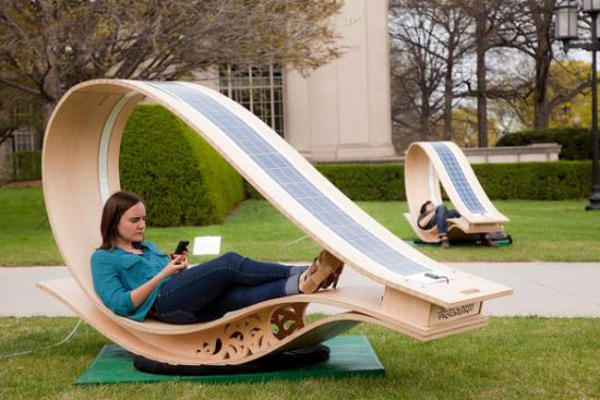 Apart from this it has straps and pulleys on the side of the bed that can be used to exercise and generate even more power. This energy can later be used to power lighting or an integrated audio system. 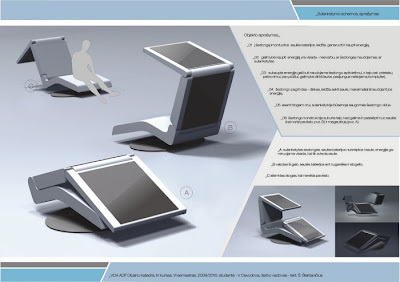 Chaise Lounge by Vlada Davydova: This Chaise lounge by Vlada Davydova is a concept design of a folding chair with three separate pieces. Each piece of this lounge comes with a solar panel and turns solar energy into electricity, which can be used for backlighting at evening, or for recharging your laptop or phone. 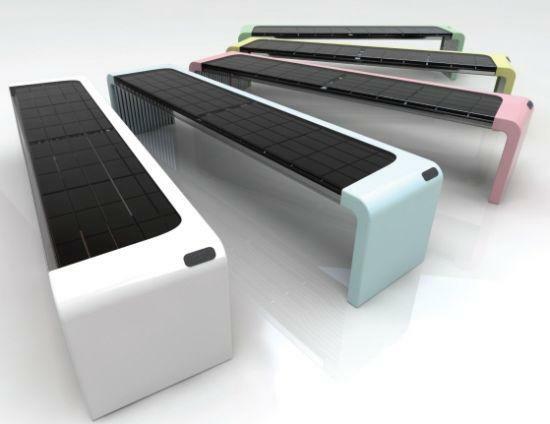 Solar Powered Outdoor Workspace: This Solar Powered Outdoor Workspace by Mathias Schnyder is an integrated table with chairs and comes with solar roof; and provides power via an outlet in the table's center. 'GO' Multi-Functional Furniture: Designed by Rizki Tarisa, 'GO' is multifunctional furniture that combines a desktop, lounge chair and an exercise bike into one. 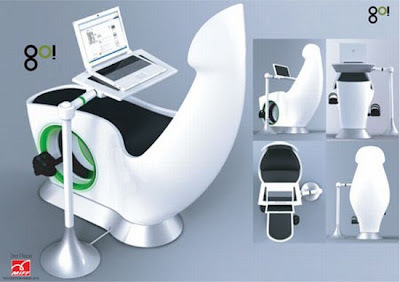 When you pedal the exercise bike it generates energy to recharge your gadgets. 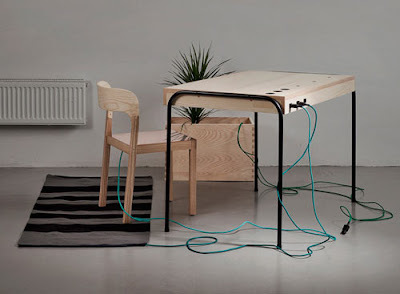 Energy Generating Workspace: Eddi Tornberg has created a workspace that generates energy needed to run all office electronics through doing everyday activities. The workstation, titled Unplugged, employs three techniques to produce energy: piezoelectricity from the carpet, the chair utilizing the Seebeck effect, and the flower through photosynthesis. Solar Lounge Chair: Recharge your gadgets while relaxing outdoors. 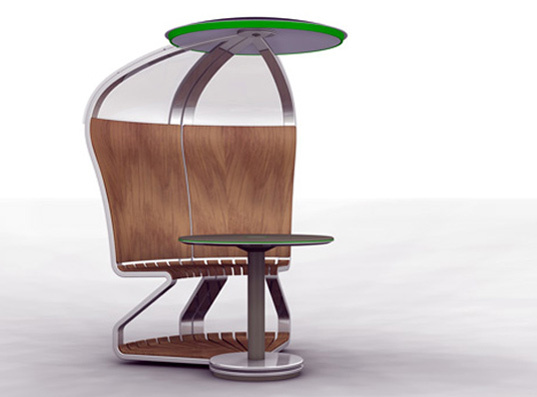 Spectra - Solar Powered Outdoor Furniture: The design team of San Jose and San Jose State University collaborated to improve the cityscape with modern and functional furniture which is sustainable too; and came up with Spectra solar powered outdoor furniture that reacts to your touch. 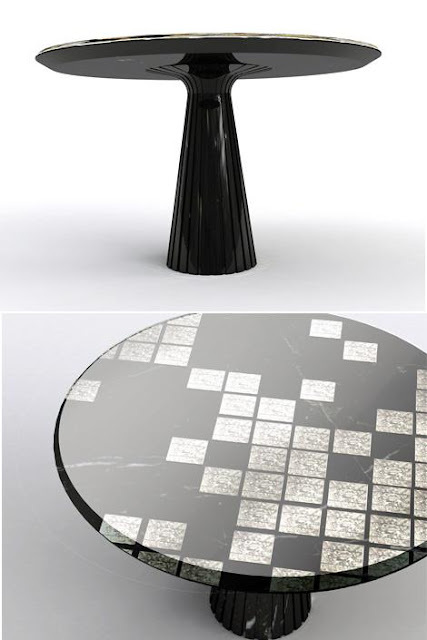 20 Creative and Cool Bottle Openers - Part 7. 15 Modern Cups and Creative Cup Designs - Part 8. 10 Stylish Lunchboxes and Cool Lunchbox Designs - Part 2. 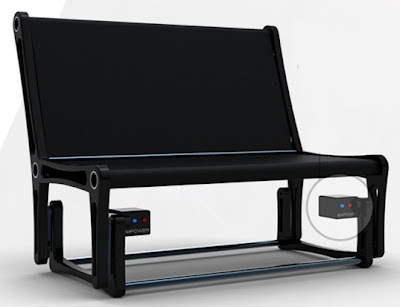 15 Cool Products and Functional Gadgets for Photographers - Part 2.